to help you locate the town or village that you're looking for. an excellent website by Kent Stuetz provides educational tools to promote Waldvierteler & Austrian family history research. The Waldviertel or "Forest Quarter" in Lower Austria about an hour's drive west of Vienna, Austria. a comprehensive German genealogical web index. consists of 400 pages of now, over 7,000 links, most of them to ship's passenger lists, church records, cemetery transcriptions, military records and censuses, etc. by Ted Margulis. A compendium of useful information or links geared to --- and useful for --- your personal Jewish genealogical research. is good summary of useful resources. is an award-winning summary with some useful information about Austria. with volunteers from around the world (including myself for Austria). 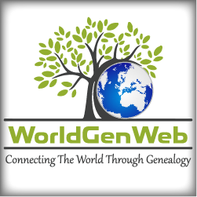 yet another good place to check for names and genealogical information. provides a very comprehensive web site with ethnic, religious, national index, a map room, a location index and an Austria Cross Index. and its excellent location lookup facility. the genealogy software maker's site. The software has been discontinued per December 31, 2015! with some information about Austrian cemeteries. provides useful newsletters concerning research in Eastern Europe. The NGS mission is to serve and grow the genealogical community by providing education and training, fostering increased quality and standards, and promoting access to and preservation of genealogical records. lists many interesting Genealogy Resources. is home to the ROOTS-L and thousands of other mailing lists, provides access to the Roots Surname List (RSL) and Roots Location List (RLL) and a multitude of other archives. The Archives School Marburg is the main centre for the training and continued education of archivists in Germany. The community of more than 160 archives and scientific institutions from 30 European countries plus Canada and the US.